Using its Advanced Traffic Monitoring & Analytics Platform (MasarakTM) and utilizing its unique and rich bank of traffic data in Qatar, the Qatar Mobility Innovations Center (QMIC) launched its 3rd annual Qatar Traffic Report (QTR) for year 2018 during a press conference held at QMIC’s offices in Qatar Science and Technology Park (QSTP). This year’s edition of the report takes a detailed look at the traffic status in Qatar. It presents unique insights about traffic congestion and movement in Qatar throughout the year, across major road segments and during different periods of the day. The report also looks at results from previous years and makes comparisons to track the changes over time. The importance of such detailed report can be observed by various national and private entities as it represents a score card about mobility behavior in Qatar. It is considered the only report of its kind to analyze data acquired from multiple sources and benchmarked against an existing and rich bank of information accumulated over the years. It can serve as an important tool for stakeholdes in the fields of transportation, road safety, smart cities and urban planning, as it provides many useful insights into the state of traffic in Qatar. Examples of these insights and findings include: assessing the impact of road/infrastructure projects on traffic overtime; monitoring changes in congestion levels across Qatar; identifying problematic congestion areas in specific times/days; quantifying the economic and environmental impact of road congestion; as well as comparing the traffic trends from year to year. On the release of the 3rd edition of the QTR report, Dr. Adnan Abu-Dayya, the Executive Director (CEO) of QMIC commented by saying ”Over the years, we spent significant effort to build a comprehensive data collection network and the associated data intelligence that allowed us to build a valuable data bank about traffic and mobility behavior in Qatar. We are happy to use this strategic platform to support decision makers in Qatar through the Qatar Traffic Report and the other intelligent mobility applications and services we provide to our national stakeholders and customers. In the next few months, we look forward to use our data bank and intelligence to shed insights about driving behavior and road safety issues on Qatar’s roads. On this occasion, we would like to acknowledge the support of our strategic partners especially Ashghal, Ministry of Interior, and Ministry of Municipality and Environment”. QTR takes into consideration a number of key globally accepted metrics to report on the severity, time, and locations of traffic congestion in Qatar. In order to gauge traffic conditions for year 2018 in a scientific, methodical and accurate way, the QTR uses the concept of Masarak Congestion Index (indicates average reduction in speed due to congestion) and the Travel Time Index (indicates the increase in travel time due to congestion) to assess the level of road congestion. 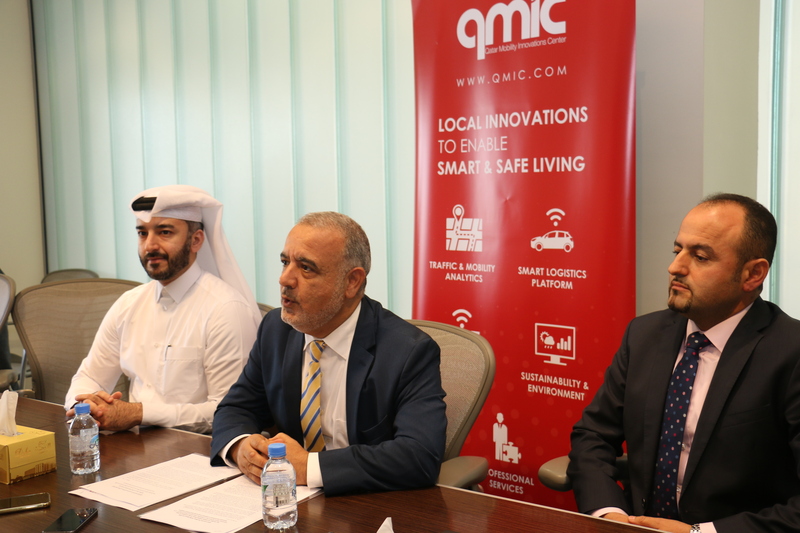 In addition, using publicly available statistics about the labour force in Qatar together with QMIC’s mobility and congestion data, QMIC has built a model to quantify the economic impact of traffic congestion in Qatar. The average number of extra hours spent due to congestion is 98 hours per commuter in 2018 (this is less 10% less than the 109 hours in 2016). This indicates that road projects completed by Ashghal in 2018 had a positive impact on traffic flow. We expect traffic behavior to keep improving as key ongoing road projects are completed in 2019 and the Doha metro starts operation in the next 1-2 years. Throughout the previous years, QMIC’s QTR has been considered a national traffic index and a score card for the state of traffic in Qatar. This is a highly desirable output for any country or region as similar processes are used to measure and calibrate the road network as well as helping stakeholders and decision makers in taking the best possible steps and implementing the right traffic policies and procedures. This in turn would contribute to better urban planning and result in the improvement of traffic conditions as the population continues to grow. The QTR is one of the key outputs of the Masarak System which was fully developed and deployed by QMIC. Masarak represents a comprehensive platform and integrated suite of services serving the areas of Intelligent Transport, Road Safety, and Smart Logistics/Telematics. In addition to its analytics platform, proprietary technology, and GIS layers, Masarak has its own sophisticated multi-source data collection network consisting of: a large fixed sensing network using QMIC’s WaveTraf Bluetooth traffic road sensors, thousands of Telematics devices installed in fleet vehicles, and crowd-sourced data being contributed by thousands of Wain mobile application users. Having these sources of traffic data has given QMIC the ability to compile the most and only comprehensive bank of traffic and mobility data in Qatar based on collecting hundreds of millions of speed records across the Qatar road network in the last few years.